This page and attached reports are part of the assessments for expansion of Ord River Irrigation in Western Australia’s Kimberley region: the 6000 hectares of red loamy soils – the Cockatoo Sands – near Kununurra. 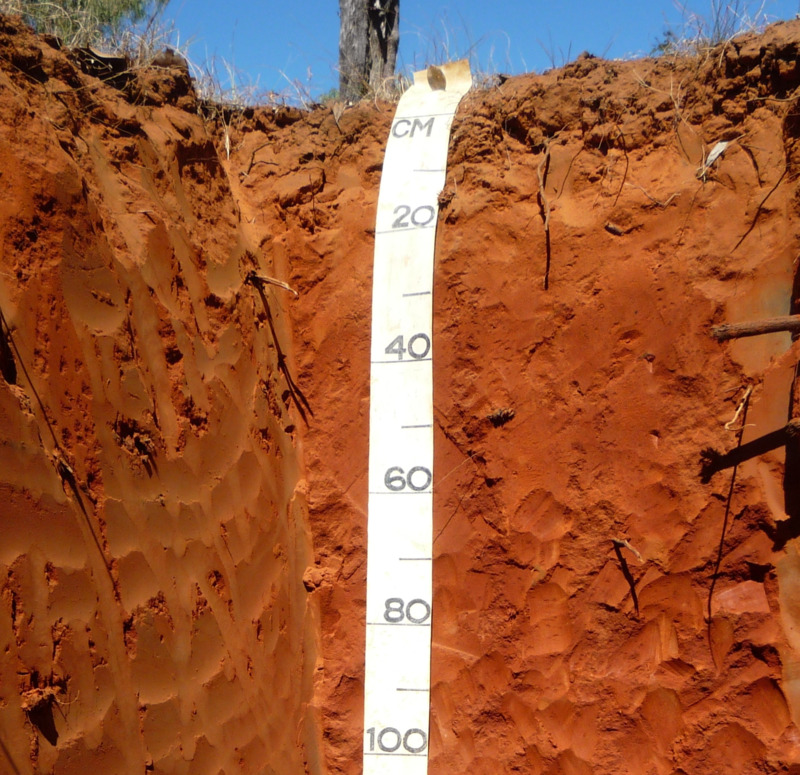 These soils are well-drained and could support agriculture throughout the wet season. The project follows a similar task on the Goomig Farmlands (Weaber Plain) completed as part of the Ord River Irrigation Expansion Stage 2. Since 2010, we have undertaken extensive soil, groundwater and surface hydrological assessments that have facilitated the release of the Goomig farmlands, as part of the Ord River Irrigation Expansion Stage 2 farmland release. In 2012, the Ord River Irrigation Expansion Stage 3 began, to undertake similar investigations of about 6000ha of red loamy soils (Cockatoo Sands). The well-drained Cockatoo Sands offer year-round agricultural development opportunities for the Kununurra community, unlike the black soils of the Kununurra clays, which are inaccessible during the wet season. The Cockatoo Sands could therefore add much needed scale to the region’s agriculture sector. Soil surveys of the Cockatoo Sands undertaken in 2009 identified about 6000ha of Cockatoo Sands and Pago Sands that were suitable for irrigated agriculture and close to the Ord River. 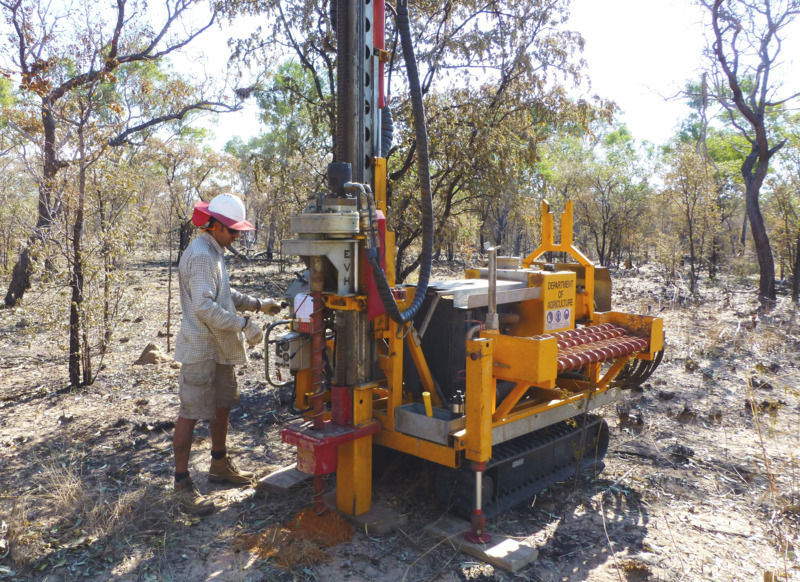 The survey outcomes are reported in Cockatoo Sands soil survey: assessment of potential irrigation areas, Kununurra area, East Kimberley. Two main areas on Carlton Hill Station were targeted for detailed investigation. Area 1 is adjacent to the Victoria Highway, south-east of Kununurra, and Area 2 is located about 20 kilometres north-east of the Ord River Irrigation Area. In 2012, we started detailed resource assessment to verify the suitability of these areas for irrigated agriculture, define the risks and advise on their manageability, and provide input data for irrigation design. 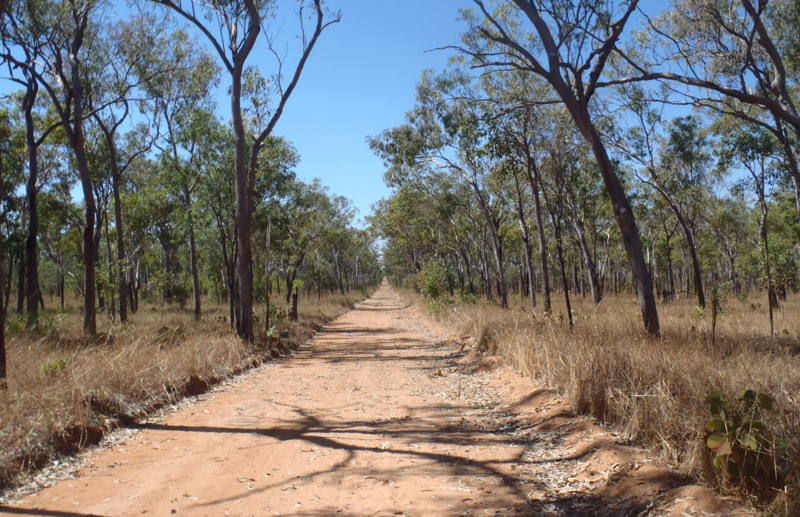 Before field work started, advice was sought from traditional landholders (the Miriuwung Gajerrong Corporation – see Figure 1) to ensure the Aboriginal heritage of the area was respected and preserved. Carlton Hill Station provided valuable logistical support for the field work. This project provides the scientific nformation needed to determine which areas are suitable for irrigated agriculture and how these areas can be developed without adversely affecting soil, water and environmental resources. This information will contribute to the engineering design for the proposed development. Department of Regional Development (now part of the Department of Primary Industries and Regional Development). The state government’s Royalties for Regions program invested in this project from the $78.2 million Regional Development - Water and Natural Resource Management initiative. DPIRD was the lead agency to deliver this initiative.